Well equipped. Everything as advertised. Lovely urbanisation, well maintained gardens and public areas. Handy for local bus stop, restaurants and shops. 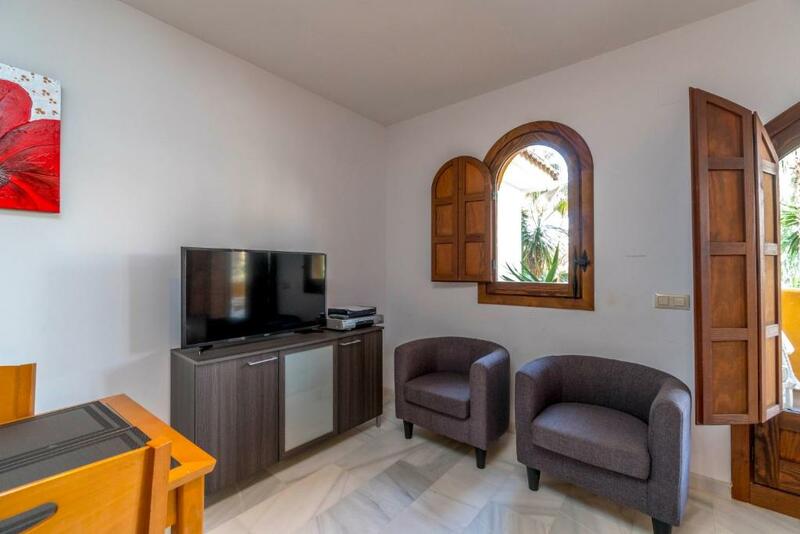 Lovely apartment, good aircon and the pool and surrounding gardens were lovely. Local area was nice, near bars and restaurants. Lòzko bylo wygodne a apartament obszerny a ogrod magiczny . Апартаменты очень уютные и чистые. На кухне есть все,что нужно. Отличная посуда( что бывает редко). Также хочу отметить пастельное белье,оно отличного качества!! !Территория комплекса ухоженная. Да моря и самого хорошего ресторана 5 мин пешком. Featuring a shared swimming pool and garden area, Bennecke Carla is located in Torrevieja. 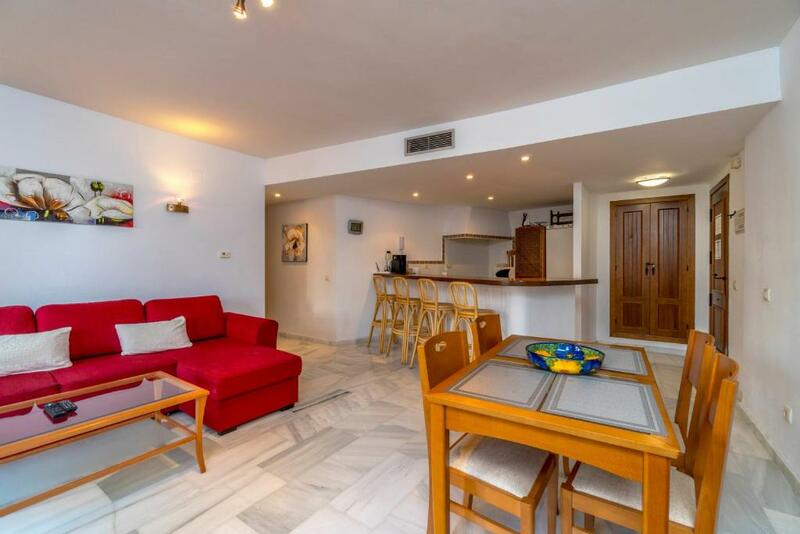 This 2-bedroom apartment offers a private terrace, air conditioning, and free parking on site. This property has 1 double bedroom and 1 triple bedroom, as well as 1 bathroom with a bath, shower, and a hairdryer. Bed linen and towels are provided, and a washing machine is available. The bright and spacious living area has direct access to the furnished terrace, and includes a sofa, Smart TV, and a dining table. 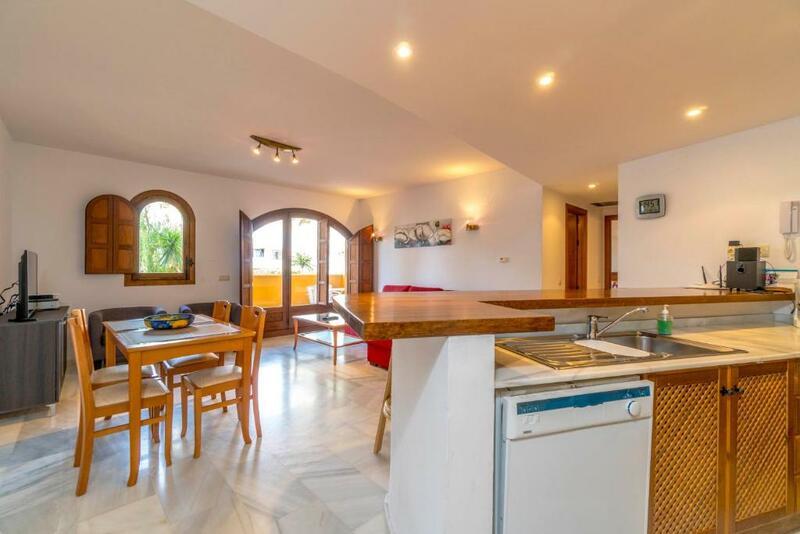 The open-plan kitchen comes equipped with an oven, hob, microwave, dishwasher, and a coffee machine. 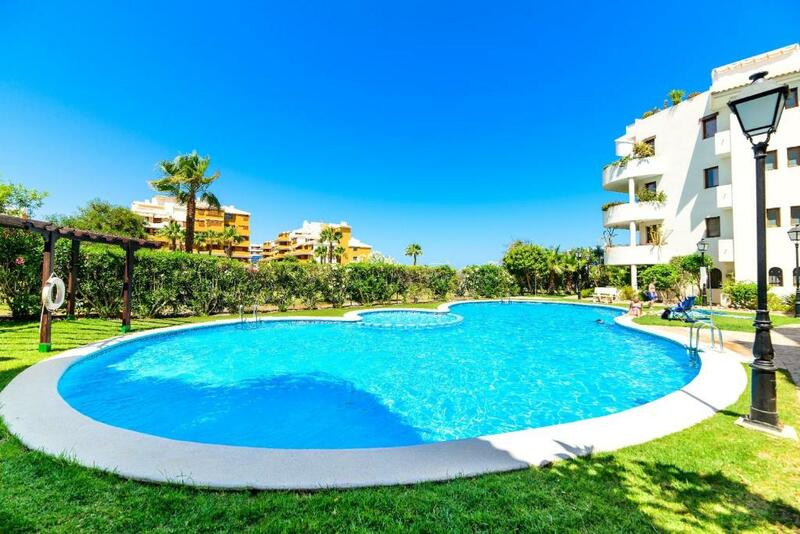 The nearest beach in Punta Prima is 2,150 feet from Bennecke Carla, and Torrevieja Town Center is 3.7 mi away. Las Ramblas de Campoamor Golf Club is 15 minutes’ drive from the property. Alicante Airport is 30 mi away. When would you like to stay at Bennecke Carla? This apartment can accommodate 5 people. It is set in the luxurious Panorama Park complex and offers tropical gardens and 2 swimming pools. Confortable apartment located in Panorama Park, Punta Prima. 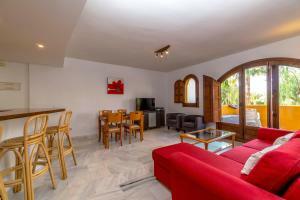 The flat has 2 bedrooms for 5 PAX, 1 bathroom, spacious living room, fully equipped kitchen and large terrace. Also has SAT/TV (english and spanish language), AACC, own covered parking place and communal pool. Punta Prima is an urbanization at the foot of the sea, it is close to all services such as the Zenia Boulevard Shopping Center and sports centers. Beautiful with the urbanization of Rocío del Mar. 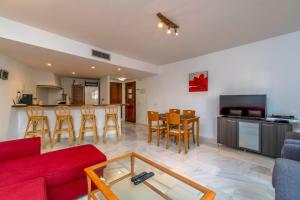 A few minutes from the golf courses Las Colinas, Campoamor, Las Ramblas and Villamartin. Good communication with the motorway of the Mediterranean AP-7 and N-332. 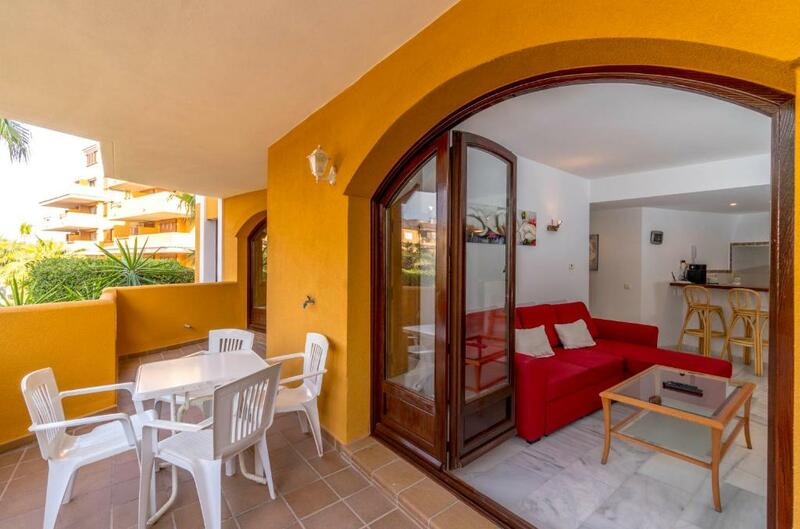 Walking distance to Cala Piteras, Punta Prima Beach. My name is Natalia, I'm an expert in vacation tourism rentals. I am at your disposal for help you to choose the accommodation that best suits your needs. In addition, we can help you during your stay to enjoy of outdoor activities, cuisine, culture, additional cleaning and transportation for your transfer from the airport, among others. 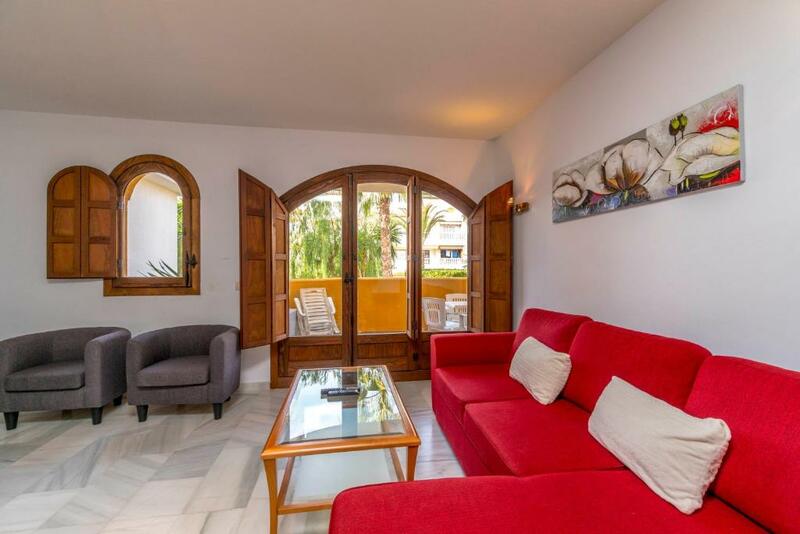 Bennecke Rent is a real estate and tourism company with more than 30 years of experience in accommodation and properties in Punta Prima, Torrevieja. We have a highly qualified team to ensure that your vacation is perfect and we are prepared to attend any incident or service you need during your stay. House Rules Bennecke Carla takes special requests – add in the next step! Bennecke Carla accepts these cards and reserves the right to temporarily hold an amount prior to arrival. Please note that all extra charges must be paid in advance. The property manager will contact you with details after booking. Please note that check-in takes place from 16:00 onwards. Keys can be collected from the office from Monday to Friday, between 16:00 and 18:00. Outside these times or on Saturdays, Sundays and public holidays, keys can be collected from the security boxes outside the office. Please note that late check-out carries a EUR 30 surcharge and must be confirmed in advance by the property. Once a booking has been made, the property manager will contact the guest directly to provide the address and key collection details. Please inform Bennecke Carla of your expected arrival time in advance. You can use the Special Requests box when booking, or contact the property directly using the contact details in your confirmation. Please note that check-in and key collection take place at: Cala Dorada 1 (Bennecke Office), Urbanizacion Rocio del Mar, Torrevieja 3185. Over fussy checking in process, having to pay for early check in when it was obvious that the apt had been prepared days before. I picked keys up from box outside office at 11am as this office is closed on the weekend. Air con not working, freezing, had to sit with bedding blankets wrapped around us on an evening. Not enough pillows with pillowcases. Workmen on scaffolding outside apartment unwanted early alarm clock!